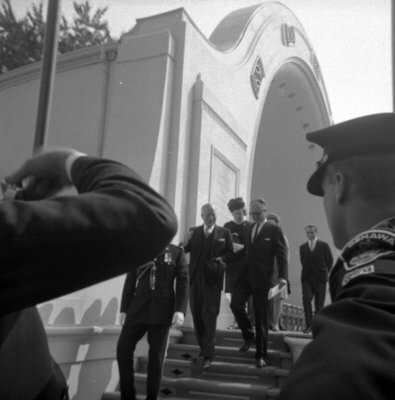 A black and white photograph of Governor General Roland Michener leaving the Memorial Park bandshell after addressing the crowd. Visit of Governor General Roland Michener, September 18, 1968, Brian Winter. Whitby Archives A2013_004_247.